These easy omelets are no fail and any extras can be frozen for later. Preheat the oven to 350°. Grease a muffin tin. 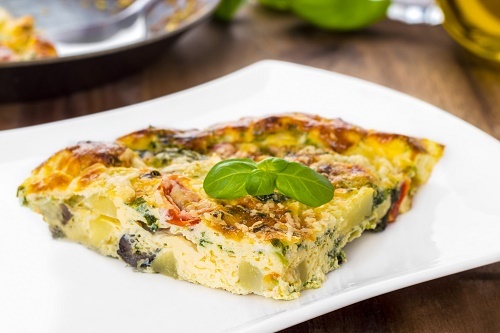 Mix the eggs, onion, parsley and tomato and divide between the muffin cups. Top each omelet with cheese and bacon, then bake for 12-14 minutes or until set through.